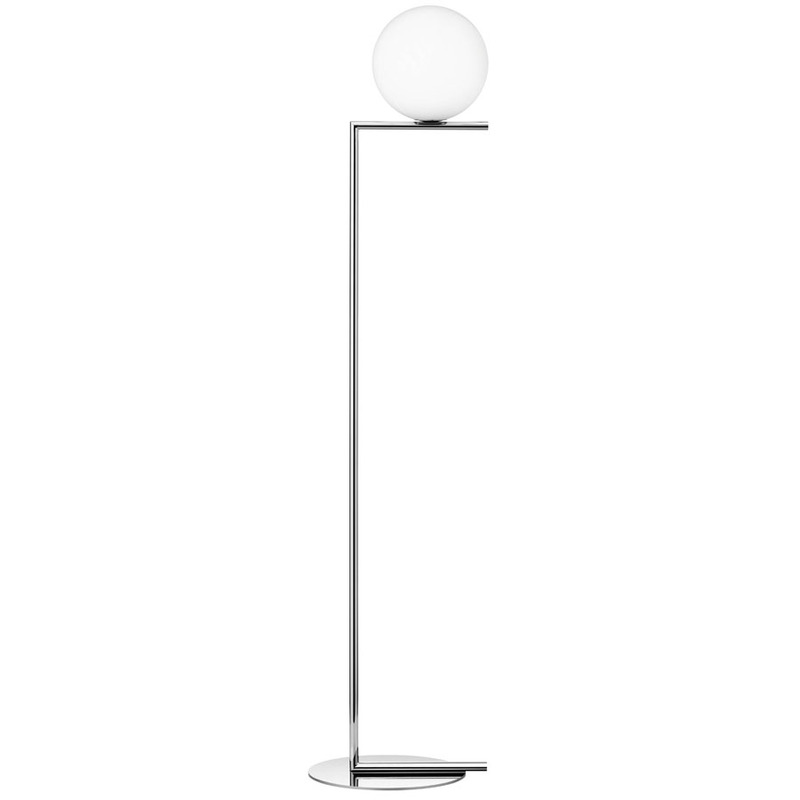 IC F Modern Floor Lamp by Michael Anastassiades - IC Lights. 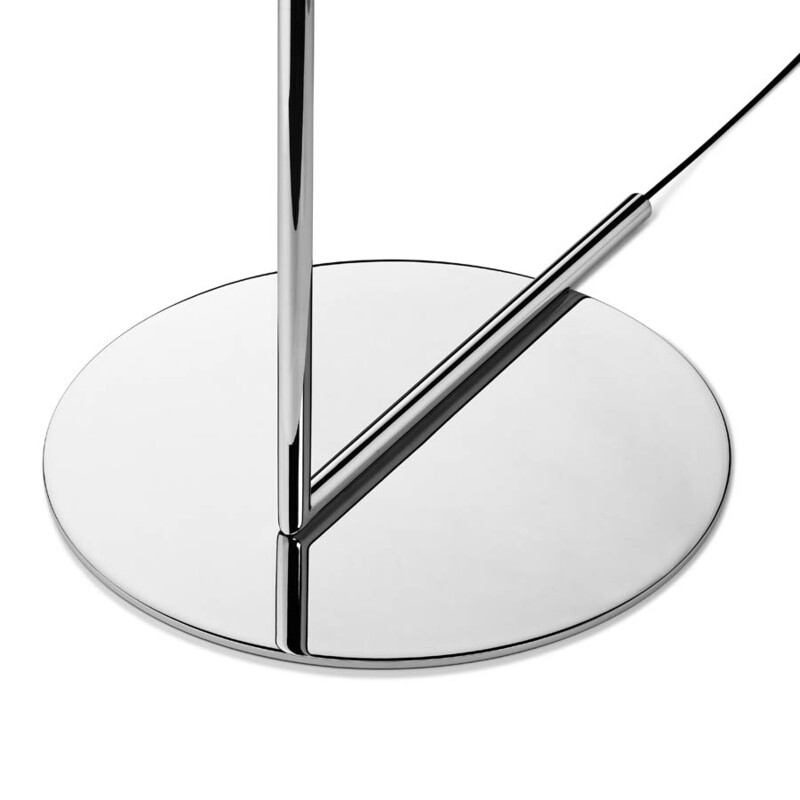 More images of Flos IC Floor Lamps bottom page! 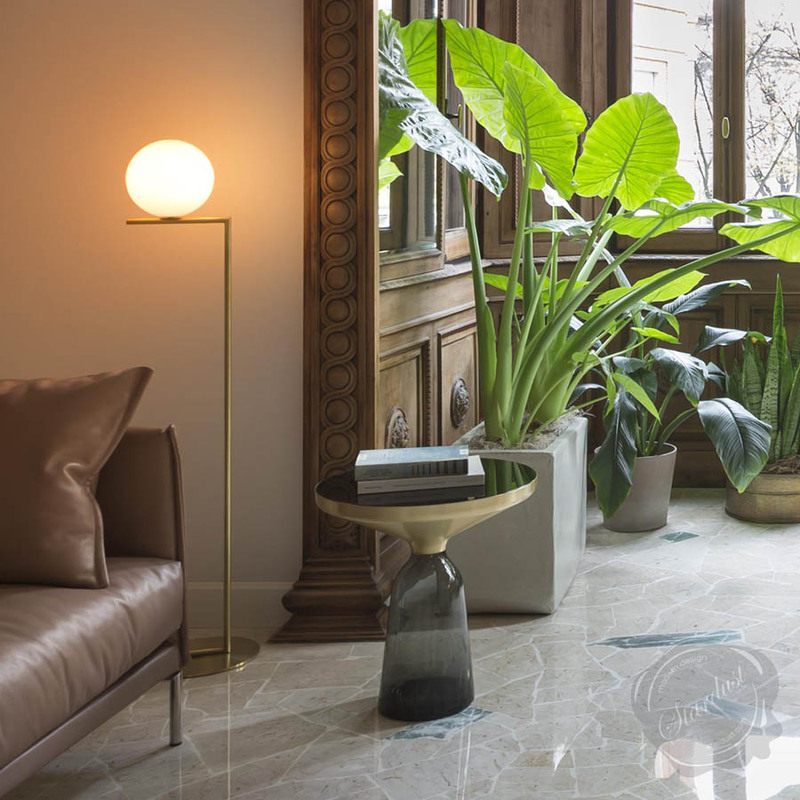 Create a stylish modern focal point in your living room with the contemporary brass IC F1 and F1 Floor Lamp, designed by Michael Anastassiades for Flos lighting. 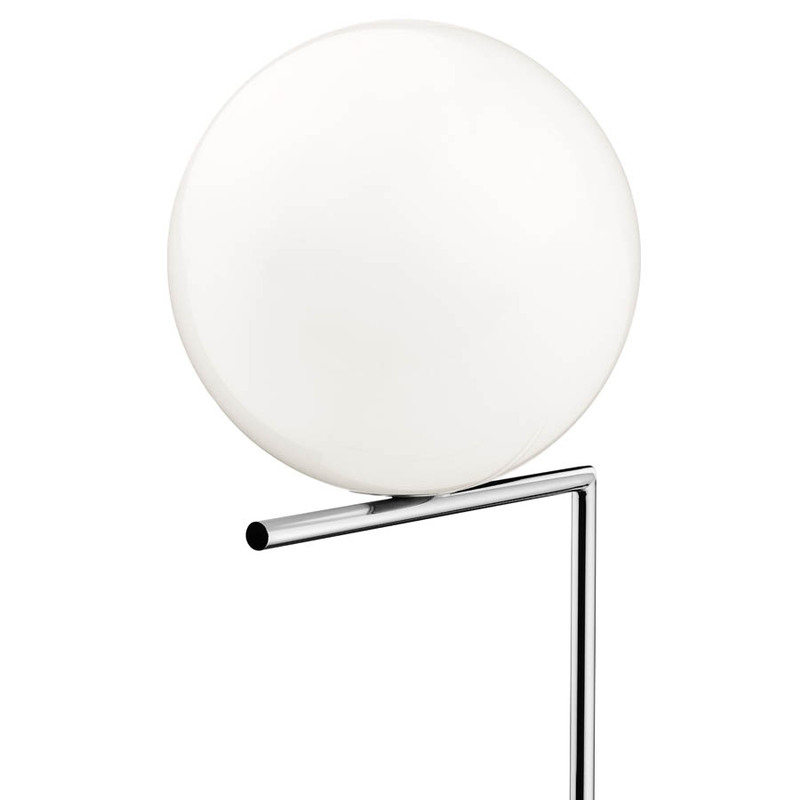 The IC F1/F2 is part of a collection of Flos floor lights exploring balance and form. 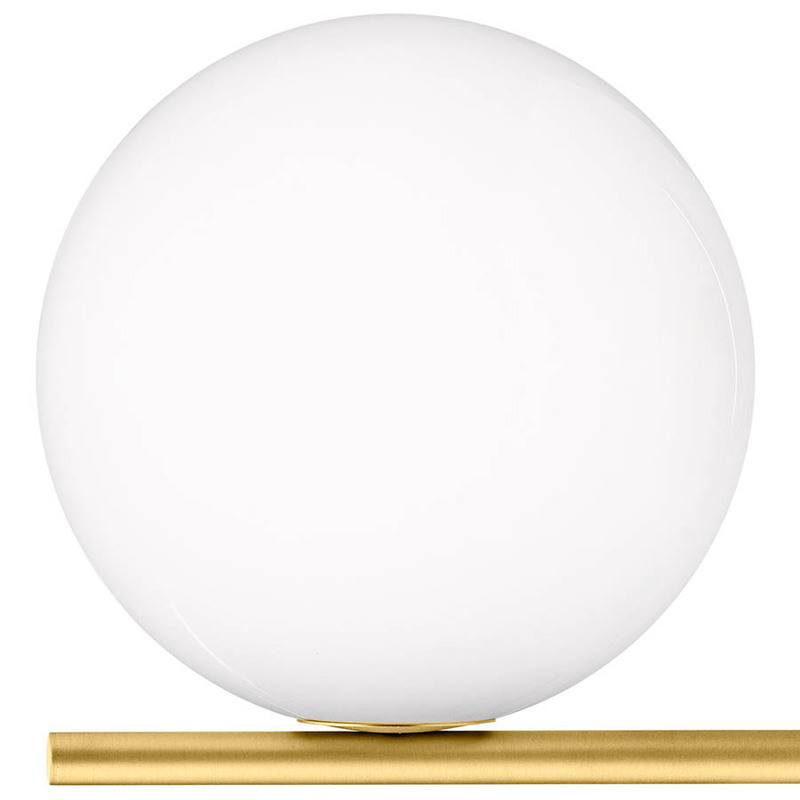 A series of modern floor lights is perfectly balanced on the edge of a rod. 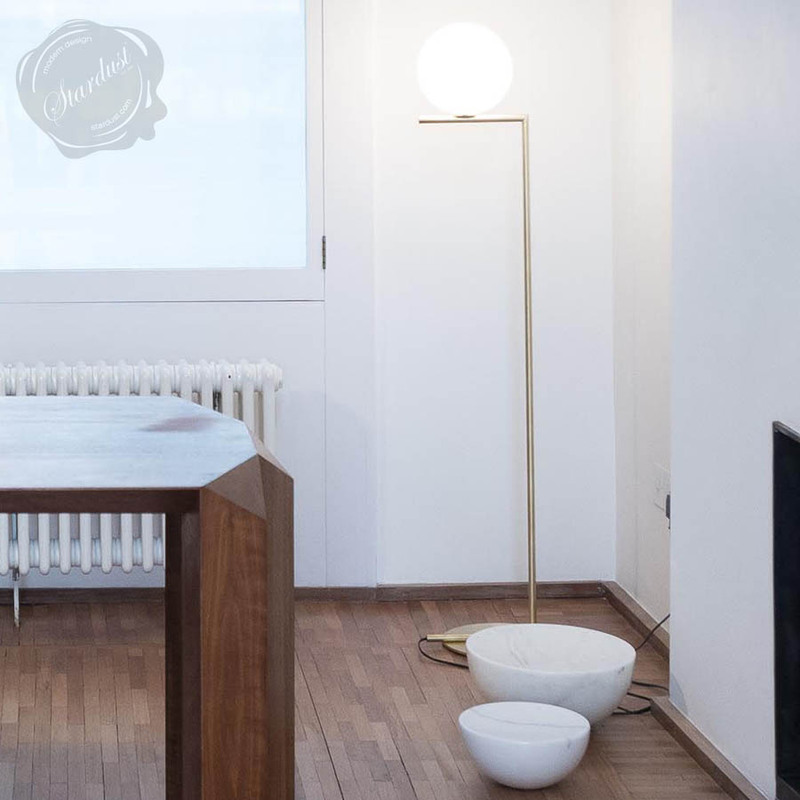 Offering plenty of scope, Anastassiades's modern white-glass topped and brass or chrome stem IC Lights from Stardust are available in wall-mounted, table and hanging versions from Flos. Stardust offers a wide choice of painted anthracite or brushed brass finishes, with a 7.87" diffuser and 60W G9 Frosted Halogen giving 980 lumens, or larger 11.8" diffuser with a 150W T-10 Medium Frosted Halogen giving 1980 lumens. 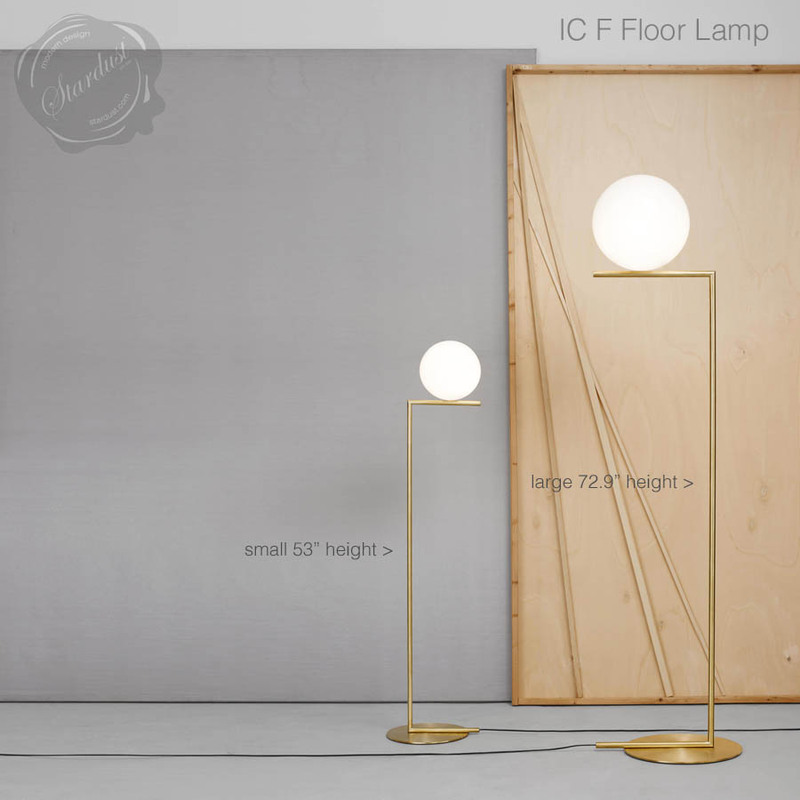 Released in 2015, the FLOS IC collection of floor lighting by Michael Anastassiades for Flos is fast becoming a decorator's choice suitable for the home, office and retails spaces alike. 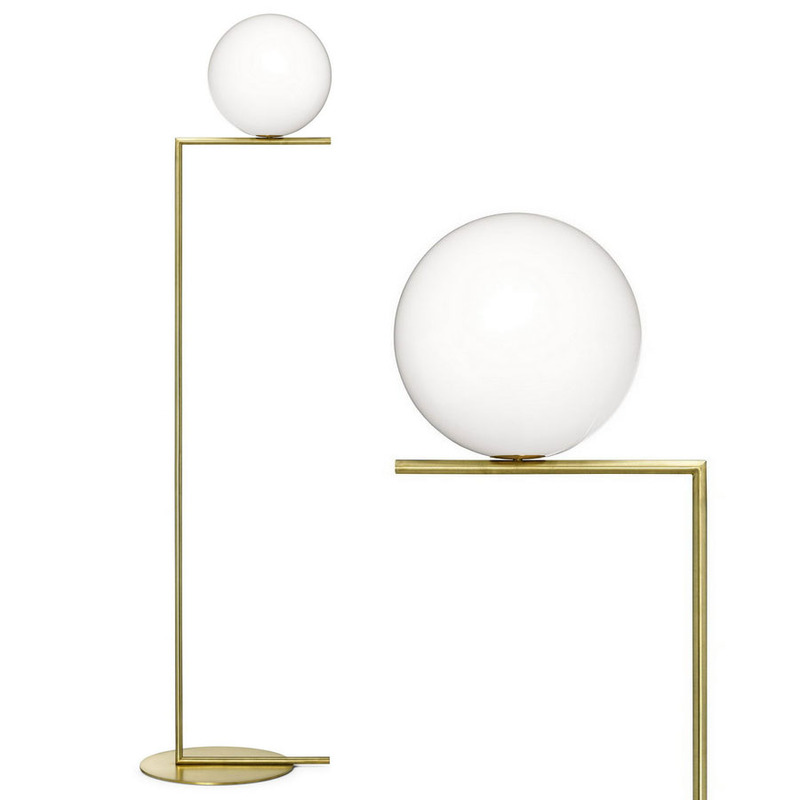 A sculptural yet modern form combines white blown glass diffusers and geometric metal frames in brushed brass or mirror polished chrome.